I immediately called him. Apparently, in reaction to the severe drought that we’re currently experiencing, the city of Austin is paying people $20 to $30 per 100 sq ft to xeriscape their yards. Michael, who also works in tech, is a landscaping genius on the weekends, so this job will basically be he and I designing a xeriscape, pulling up sod and replacing it with weed barrier, gravel/rocks, and indigenous plants. I worked on the company website till 3 AM Tuesday morning, and we should be able to start promoting on Saturday. We’ll be high-speed, low drag; think Clay Christensen and his theory of disruptive innovation. We’ll be the Redbox to the Blockbusters of landscaping. For example, I called a few landscaping firms for a quote to xeriscape my yard and I asked for estimates on 100 sq ft, 500 sq ft, and 1,000 sq ft plots. I got a quote from only one company, and that was for the 1,000 sq ft plot only. According to him, he won’t consider any projects below $5k, and the only one that potentially fits the bill is the one at 1,000 sq ft.
We don’t need to serve people who have to have their hands held and/or have massive landscaping projects–we’ll go after the guys who just need “good enough.” And with our extremely low overhead costs–costs will be primarily COGS (direct material and labor) with limited capex and opex–we’ll be able to charge very affordable prices that the “good enough” customers can readily afford. On this night a week ago, I had just finished hustling downtown to meet with the pedi-cab guy and was pumped to pedi-cab during the coming weekend. Tonight, I just finished a meeting with my friend and I’m pumped to start promotiong the new “business” on Saturday. Hopefully I’m not setting myself up for another pedi-cabbing experience. At least the up-front costs are fairly low–the only thing we’ve had to purchase so far is the website domain. While the monetary costs are low, however, I have already sunk about 10 hours of my time into the new venture. I had a Skype interview with an ACT/SAT/GMAT prep company today after work and I had to give a three-minute lesson on whatever I chose. They used tying a shoe as an example, so I chose to teach the interviewer how to wash his car. He followed up with some questions at the end of my lesson, one of which was how this job would fit in with my full-time job. I explained to him the whole supplemental-income-so-I-can pay-off-my-debt-in-ten-months thing. The interview must have gone well because I was asked to attend training, which also doubles as a secondary screening process. If I successfully complete training–and get a 95th percentile on the SAT–I’ll not only get a job, but I’ll get a stipend, too. The problem with this situation is that I landed in the 85th percentile on the SAT when I took it back in the day, 99th on the ACT (and 96th on the GMAT–I just got this question in the nomoreharvarddebt@gmail.com inbox, so there ya go), so they have picked the absolute worst test to give me. I sent some pics to a modeling agency that was advertising on Craigslist, got a call from someone at the company, and we set up a meeting downtown for this Friday afternoon. No idea where this will lead…probably nowhere. That being said, I’m not going to prematurely close any doors that are slightly ajar. And I don’t think there will be any requests for any gladiator action–their website looks professional and makes them look legit. The first roommate has officially moved in! So far, so good. It’s actually been kind of funny–she’s so quiet that I forget she’s here, and I was surprised when I found some of her food in the fridge–I had to remind myself that I have a roommate. The second roommate is driving down from Colorado to move some of his stuff in on Wednesday, but he won’t officially move in till the end of the month. We talked over the phone and I saw his Facebook profile, but we haven’t actually met yet, so fingers crossed. I’m sure he’ll be fine. He sounds like a cool cat. I got my offer letter for the promotion on Monday–it’s an internal job transfer, but still handled via a letter. Anyway, the offer was a 6% raise, which was underwhelming and doesn’t help my cause, as I assumed a 10% raise in all of my $90k/10mos calculations. I talked to the hiring manager and laid out three reasons why the raise should be higher. (And no, NMHD wasn’t one of them.) He’s going to go back to HR and ask for more. The only other time I have ever felt this alive, this tired, and this poor simultaneously was when I was a student at Michigan. In undergrad, I was always busy and focused, always sleep-deprived, and I never had any money. The typical weekday started with class, immediately followed by crew practice, immediately followed by the library, with team project meetings interspersed randomly. These days, it’s work, immediately followed by the gym, then straight to my house to chase down leads, with interviews interspersed randomly. I have zero free-time. There’s something to be said about focusing maniacally on a stretch goal. When I was in undergrad, I had lots of goals: academic goals, career goals (e.g., landing a good internship and first job), and athletic goals goals regarding my performance on the rowing team. When I graduated from undergrad, I stopped being as goal-oriented, and I feel like I lost some of my…je ne sais quoi…my edge? After undergrad, I had no need for academic goals. Even at HBS, my goal was to simply learn as much as possible, since most people end up in the middle of the boat grade-wise, anyway. Athletic goals became pointless after I stopped rowing–I continued to go to the gym, but I was no longer training with a purpose. And ever since I lost my friends during the summer I saved for a motorcycle, I have been averse to setting ambitious financial goals, other than establishing a healthy Screw You Fund, which I achieved a year out of undergrad. So the only goals I have are for my career, but in all honesty, I am perhaps not as career-oriented as one might expect for an HBS grad. Sure, upward mobility is important to me, and the last thing I want to do is get stagnant in a role, but unlike my dreams in high school of being a CEO, I don’t really care as much anymore. Ultimately, I do want to own my own business, but I’m not really in a big rush. Let’s put it this way: I don’t have the same focus and dedication on moving my career along as I did regarding my grades at Michigan, and the intensity with which I am approaching my career goals today is a deathly shade of white in comparison to the red intensity with which I approached my athletic goals on the rowing team. I still show up to work and kill it every day, but the whole drive for the C-suite is…not super-strong. But this financial goal–which I would actually consider a lifestyle goal more than anything, knowing that I can be debt-free in ten months–it excites me; it makes me feel alive again. My buddy was telling me stories today about his “insane trip to Dallas” over the weekend. He told me I missed an incredible time, getting bottle service and whatnot at a hype club, bypassing “a ton” of girls lined up out front waiting to get in while he went to his reserved table. He told me he would have invited me, but he knew that I was pedi-cabbing. Then he asked me why in the world I’m pursuing this financial goal, especially considering that the $42k interest is over “15 whole years,” or that I might possibly make a really wise investment in five or so years and find crazy wealth, rendering these upcoming ten months a waste. I tried logic to explain to him how nice it will be not to pay $1,057 every month for 15 years, and that once I’m done paying this off, I’ll have an extra $1,057 a month for whatever, which might include trips to Dallas. He still didn’t get it. I was frustrated with his lack of understanding. He thinks I’m having a terrible time and that the end goal is not worth the interim hardship. What he fails to understand is that I’m really not having a terrible time. Not yet, anyway. It’s fun. It’s a challenge. It’s something different. It gets me out of the same weekly routine of work/gym/bar. I mean, I freaking pedi-cabbed downtown! I have cool roommates! I got a promotion! I’m doing creative writing every night via my blog! I built a website for a business! I’m meeting with a modeling agency on Friday? Do I miss bar nights with my friends? Of course I do, and this weekend, since I quit pedi-cabbing, the flask will star in a sequel. But I’m also having fun mixing it up in new ways that I suppose might be hard for some to understand. 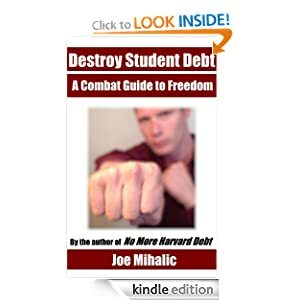 I think what your friend fails to realize about being completely debt free is the freedom that will come with that added cash flow and lowered expenses. With low expenses, you’ll have the freedom to explore any avenue of life you want, having adventures, working overseas, doing work that may pay less but is more meaningful… with debt you’re a slave essentially. Plus, it puts you in a really good position for any emergency that comes up. With the learned frugality and extra money after the debt is gone, you can build up a hefty e-fund… check out http://www.mrmoneymoustache.com and http://www.earlyretirementextreme.com. Love those guys. I think the lesson you are learning is more than just resilience – it’s becoming your own man and going against the grain of what your friends think. I’m sure you’re friends are awesome – but we all have to find our own unique path in life. While I was disappointed to see you give up on pedi-cabbing so easily – in particular after you had sunk so much cash (I figured an HBS grad could figure out some marketing or maybe selling some ad space) angle, but still I think you are right today. Even if it ends up taking you longer than a year to pull this off (but much shorter than the 15) – the experiences you are having & gaining are much better. Bottle service is fun, but the skills you are learning now and networking you are making, will pay off even more in the future. And there will always be time for bottle service later :). Another amen. Can I get another amen? Keep it up! I love your positive outlook on the adventure of it all! I definitely think the 2nd roommate was a good idea. Who knows, maybe you’ll like having them around so much that they will become a part of your next adventure: Pay off your mortgage in 30 months. mark wilcox took the words out of my mouth! i wish the best for you. Re: the SAT, I got a 700 on the Verbal section when I took it in high school. When I re-took it after college (I was tutoring for the SATs and took a practice test along with my students), I got an 800. (Proving to me that I *did* learn something in college, after all!) Anyway, my point is that I wouldn’t worry too much about your score from 10-15 years ago. Good luck! This is super helpful. Thanks. I’ll let y’all know how it goes. That is actually quite helpful. Good comment. Oh man! Can I get a haiku next time, please? 🙂 Thank you! Best of luck to you. Your blog is scandalous and enjoyable. If Blue Steel doesn’t work out, there’s always Le Tigre. Taussig! It’s been too long! Good call, btw. I’ll try it out for ya. Nice reflections. There is definitely something about high academic expectations in undergrad – especially if you’re aiming for a 4.00 GPA – that are far less prevalent in the real world. It’s often a world of mediocrity out there. Good luck. You’ll find your calling. In the meantime, keep learning and saving. Yeah…unfortunately, I got a 3.4. Oh, well. HBS still let me in, so they couldn’t have cared *that* much.